It wouldn't have been so bad except for that we were out of MANY things. Like milk and tea (two of the most important groceries as it's the way I start my day). Luckily, we're a mere fifty minutes from Amerrrrrrrica and things were open there! Along with basics like Baked Lays Sour Cream & Onion (the only flavour NOT available in Canada and The Hubby's favourite) and tiny chocolate bars (2 points each on WW! ), I found some amazing new treats! 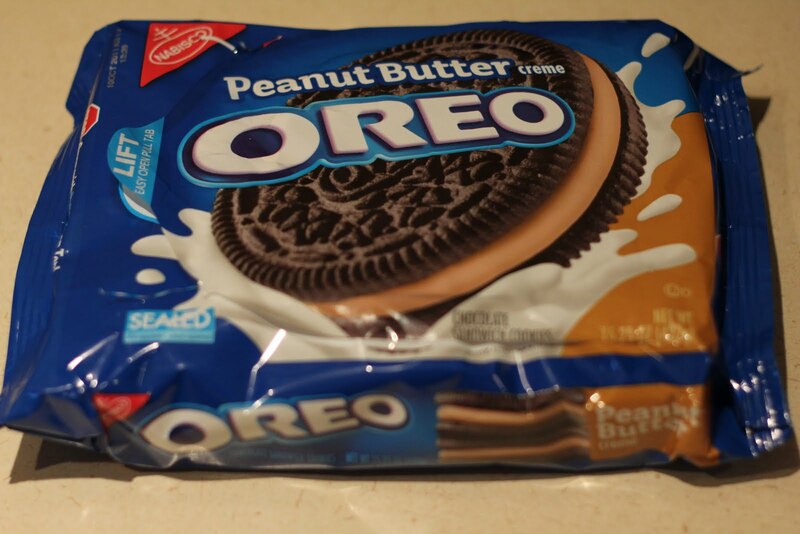 Peanut Butter Oreos. PEANUT BUTTER!! I'm not going to lie -- they're pretty much the greatest cookie ever. 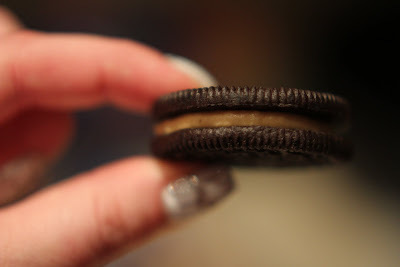 My next plan is to get another bag and then use the Oreo-wrapped-in-a-chocolate-chip-cookie recipe. ps. LOVE how cookies come in bags from the US and not boxes. The sticky flap is fun. 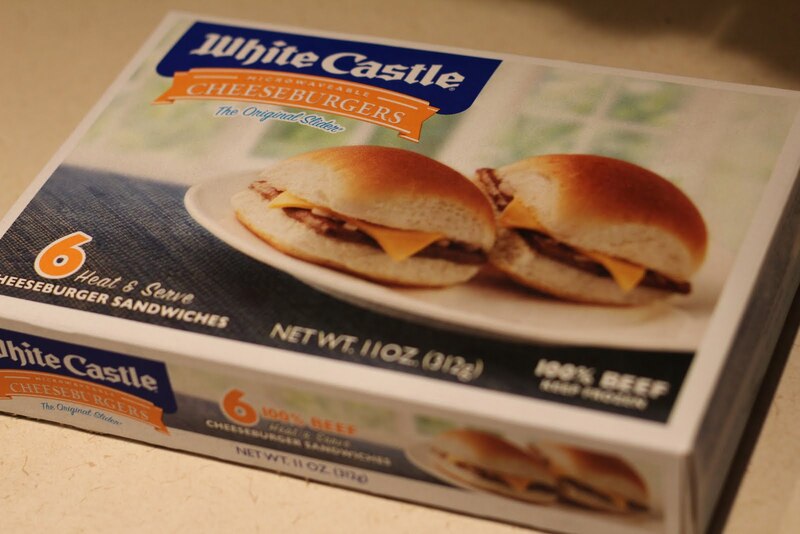 Here's the deal: The Hubby and I LOVE Harold and Kumar Go To White Castle. Whenever it's on, we watch it. Living in a land where there are no White Castles (or Sonics, or Jack in the Box...boo) we've made a vow that if we ever were to stumble across one, we were going. I especially like that they're mini-burgers, as tiny foods are generally awesome. I will say that I'm aware my camera may not buy the whole "100% beef" claim, as it's hella blurry in this pic, but when I saw them in the grocery store freezer, I had to pick them up. Am I scared of frozen fast-food burgers that you heat in the microwave? Yes. Is that going to stop us from eating them? Nope! And finally...something that's almost good for me. Yogurt in CRAZY YUMMY flavours! 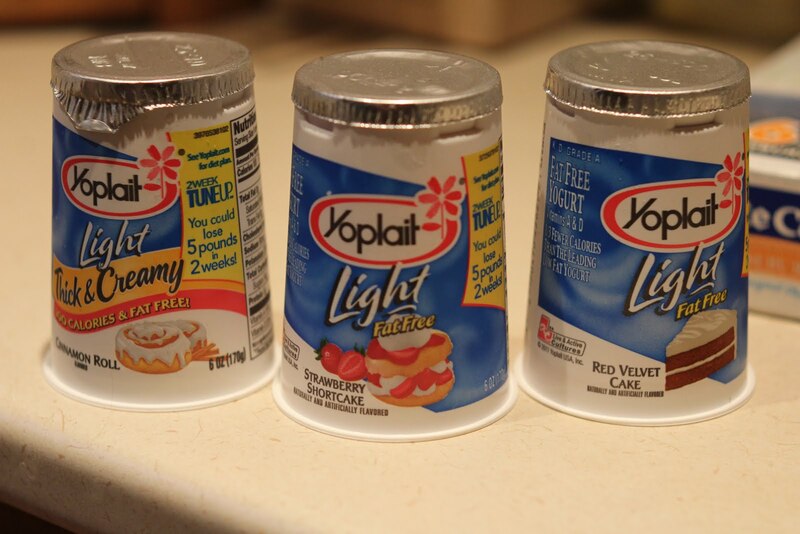 I see these advertised on TV and have tried the Strawberry Shortcake before, but let me say that I'm now officially OBSESSED with Red Velvet Cake and Boston Cream Pie (no pic as I ate it last night...mmmmm). These flavour options really should be available up here. So there we go! New American delights! Hope everyone had a wonderful long weekend full of fireworks and hot dogs!